Many of you may be wondering what the eating plan is like while doing the Body Beast workout. 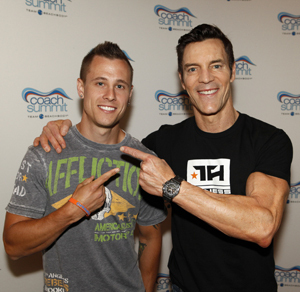 Im going to share how the Body Beast Book of the Beast says about eating on a budget found on page 44. The Body Beast Eating Plan on a Budget — The most annoying thing about food is it doesn’t grow on trees. Well, technically, some of it does, but you still have to pay for it – and when you’re eating several thousand calories a day, the cost can add up fast. Luckily, you’re not the first bodybuilder to operate without an unlimited cash flow. During leaner times, even Sagi resorted to living on tuna and beans, and he still didn’t lose his Beastliness. So here’s a little collected wisdom to help you bulk up on a budget. Buy in bulk. You can find rice, potatoes, beans, oats, nuts, and protein foods in bulk for pennies on the dollar. You can freeze protein foods like chicken breast for later use, or make Beast-sized recipes and freeze them in individual servings to re heated later. Avoiding ready-made prepackaged meals. This contributes not only to your good health, but also to your wallet, because you’re basically paying for the packaging and processing. Buy your fruits and veggies in season. They’ll be cheaper, more nutritious, and tastier. Frozen produce is another tasty, healthy alternative; it tends to be inexpensive, and flash freezing maintains the nutritional value of fruits and veggies better than stamping them “fresh,” then shipping them across the world. Always us a grocery list. Also, avoid shopping on an empty stomach if you’re prone to unhealthy impulse buying. Keep an eye out for sales. Plus take advantage of coupons and buy generic when the ingredients are the same as the brand-name product. Fajitas are health and filling and make a great dinner. This recipe teaches you an easy way to marinate chicken. The result is a very flavorful dish. Sound delicious so far! If you want to know how to prepare everything, well you’re just going to have to get the Beast workout! The Book of the Beast has a ton of great recipes and easy to follow instructions. You’ll get tons of info and tons of support. So if your ready to add some size, and learn how to eat great food that will pack on the muscle, then stop waiting. Get yours now! 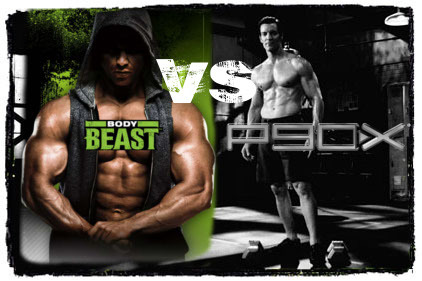 How to Buy, Where to Buy Body Beast? 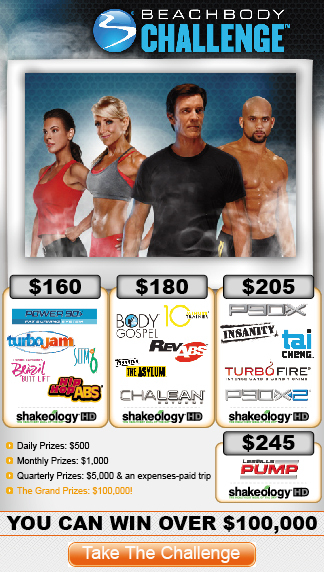 I would recommend purchasing the Challenge Pack for the Body Beast Program. Its at a discounted price, and gives you the entire workout plus your first 30 day supply of all the supplements. Its the most economic way. If you just want to start out with the program, you can Buy it here. You can alway get free account with me and het consultation from Toronto CPR. I hope this has been useful information for you. If this has helped you in any way, please click the Facebook “Like” button below this post, and share my site with your friends! Extra kilos that refuse to shed are a deterrent to effective body building. However, you could always visit https://mybodylife.com/clenbuterol/ to learn about faster ways to lose those adamant kilograms. Looking for Diets That Work huh? Lets first take a look at what a diet is. Please don’t give up on this post either. Its going to be a good heart felt one, so stick it out and read it thoroughly. 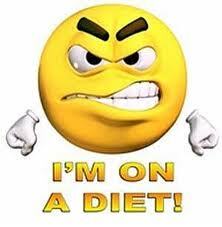 When I hear the word diet, I always think of when I would hear my mother or one of hear friends talk about some extreme way of eating or some crazy food they were going to eat for a certain period of time. They would usually lose weight. But what seemed to mesmerize me the most was…these women would go on diets almost every year. Thats it…they would lose weight…then eat like crap for the rest of the year. Then go on a diet, lose weight and do it all over again. Whats gonna make this so good you might ask? Well Im going to give you a small piece of my life. Im gonna let you know what I struggle with on a daily basis and who I struggle with the most. The true problem with what I listed above is that, going on these diets and always trying to find “Diets That Work” is that, it isn’t healthy…at all. I too was one of those people at one time in my life who thought that going on a diet was just what you did. Thats what society knew. Thats what the media taught us. That if you wanted to be skinny then you had to go on a diet. I will be the first to tell you, I really didn’t know anything about getting in shape or how to eat, much less how to eat healthy. Im not going to give you my life story in this blog post, mainly because I’ve already done that in another post. So if you want to know more about me, well you’ll just have to keep reading :)! Ok, back on topic. 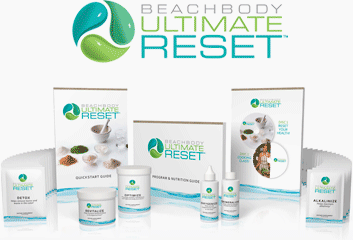 I owe everything that I know…period…to becoming a Team Beachbody Coach refered to from here-on as TBB Coach, and NO this ins’t a plug on becoming a coach either. Its the truth. What do I struggle with? That’s easy. Sweets, potato chips, over eating because it just taste so FREAKIN GOOD! There I said it! Sometimes I feel like I can’t be honest about it. Like people will look at me weird for saying it. Oh well, there it is. I actually do really well in the day. It’s dinner time that gets me the most. I think its because my snack from 3 or 3:30 pm has worn off, and waiting until my wife gets dinner done between 6 and 7 pm I just get so hungry that I eat my dinner in like 2 minutes and my mind is like, that’s it, that all your eating? So I get psyched out and I want to go for plate #2. So why has becoming a TBB Coach helped me? Well besides helping me to get in shape with awesome products like Shakeology, Insanity and P90X, I’ve also learned how to eat and eat the correct portions. 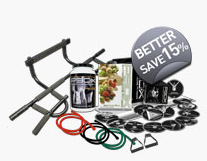 Each of the fitness products come with a meal planner so that helps a ton. It has also allowed me to help others and that truly is a blessing of its own! I know what your thinking too! Well what if I don’t have any of those programs and can’t get one right now, what am I supposed to do? 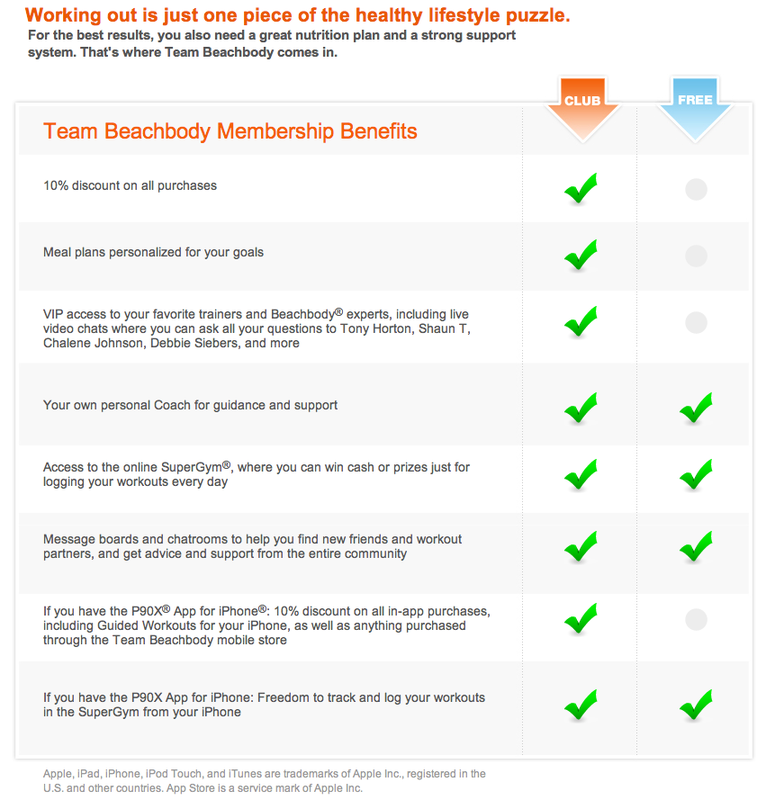 What helped me is the Team Beachbody Club Membership. For $2.99 a week I get an online meal planner that I can create myself based on my lifestyle. Even if my lifestyle changes every couple of weeks. Anyone can afford that! Plus as a club member you save 10% off anything you order and when you drink Shakeology each day like me, that really helps! Of course if your a TBB Coach you save 25% but thats a different story. What is the Online Meal Planner? The Online Meal Planner is the ultimate “Diet That Works” and what I mean by that is its a true diet. Its what you eat everyday, not something you do once a year. I don’t even like the word diet. The online meal planner is a lifestyle. Its tells you what you should eat for each meal. It give you the right portions to eat. Portion Control is something I struggle with all the time. The best part is that it will even print out a grocery list for you. So there is no guess work at all! And its food that your whole family can eat. Remember, it not that ‘old school diet’ that no one else in the family wants to be apart of. Its ‘real’ good food. Its normal food. The meal planner simply helps you prepare it in a healthy way and helps you with proper portions. It even helps me with my sweet tooth, because Im eating sweet stuff like strawberry’s and blueberry’s on pancakes. Yes I said pancakes! The hardest part for me personally is the people I’m around. I am VERY PARTICULAR of what I feed my child. Now don’t get me wrong, my wife and I aren’t perfect, but we try hard with our son to feed him healthy. I got in a big argument with my mother yesterday. She knows I’m a TBB Coach and she knows that we try to eat clean 99% of the time and we want that for our son also. We also decided to call Delaney Park Dental for Anchorage family dentistry and find out which foods are good for his healthy teeth. My step father had made a cake for my brothers birthday. Of course being the grandparent, my mother had talked this up real big with my son and told him he could have a slice, without even asking me. So as I sit there I watch my mother let my son like cake icing off a spoon that she had gotten for him to eat with out of the icing container. I let it slide trying to be nice. It was just the tip of the spoon. But then she gives him more. Im like Momma, no more. Well thats a problem with her. So as the day goes on, I let him have 1 slice of cake against my better judgement. But then less than 2 hours pass he wants more cake, as any 2 year old would and she says ask daddy. So Im automatically the bad guy. It was 5 pm at this point so the answer should have been real clear, as it would’ve been when I was a kid. She got mad because Im too hard on him and I got stuff like that when I was growing up. Well the point is, #1 he’s my child. #2 it doesn’t make it healthy just because I got it as a child. Im trying to make better choices for myself, my family and my child. So even the ones that care the most about you, still in some ways wont support you. But you have to stay strong! And I personally believe that if you have a meal plan in place, you’ll be able to fight those temptations, because your needs will be met with whats on the plan! The realistic part of life is, its hard to make good healthy decisions with so much temptation out there! And even harder when people don’t understand what your trying to do! A slice of cake is ok in moderation. But if you take a good look around you 90% of what you will see is people who don’t eat in moderation. My son isn’t missing out on life because I don’t feed him crap like that. He’s gaining in life. He’s learning that just because its there doesn’t mean you have to eat it. This is a very extreme example but its true. Feeding our youth sweets and fattening unhealthy food is just as bad as buying them a bottle of liquor and a pack of cigarettes. Think about it. So if your really ready to take control of your eating habits and lead your family into a healthy day everyday, then make that small investment and consider the Club Membership! I hope this truly had a positive impact on you! I love my mother, but I had to put my foot down. Will you?